Giants like Macy’s, Sears and J.C. Penney are closing hundreds of shops, leaving empty shopping malls throughout the country. BROOKE GLADSTONE: And I'm Brooke Gladstone. Now we move from pondering the impact of a relatively recent retail disrupter to the decline of a very old one. 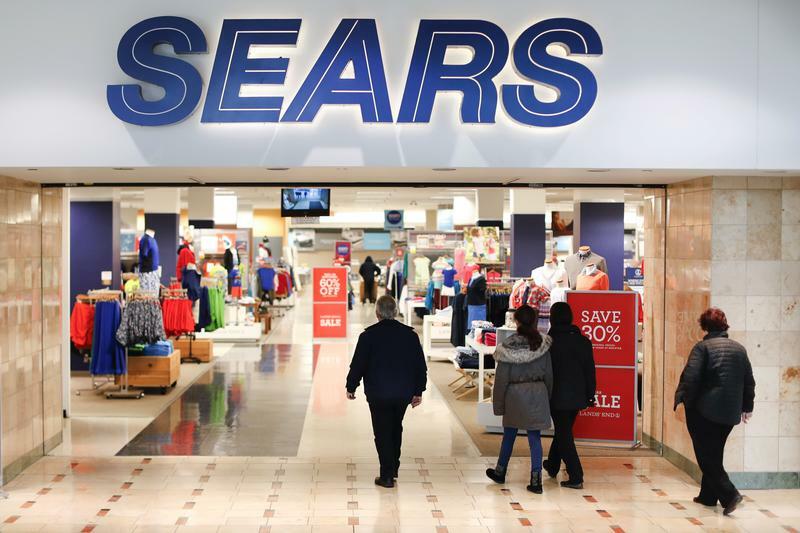 This week Great American Capital Partners agreed to lend 350 million dollars at a steep rate of interest to Sears, enabling it to stay afloat this holiday season after it filed for bankruptcy last month. Sears also announced the closure of some 142 stores. But before its brick and mortar business, it was a catalog. One that sold everything from underwear to bungalows in a box. Louis Hyman is an economic historian and professor at Cornell University's School of Industrial and Labor Relations. When news of the bankruptcy broke he tweeted that quote 'what most people don't know is just how radical the catalog was in the era of Jim Crow.' It sparked a huge response. Sears was radical? A driver of racial equality? LOUIS HYMAN: Yeah, in the 1890s, 1900s, most African-Americans were still living in the country. Not until 1960 are more African-Americans living in the cities. They lived as sharecroppers, they lived as tenant farmers and they shopped at the local country store that gave them access to a wider world of goods. Access to credit which they needed because they were only paid once a year when the harvest came and just like white farmers as well. But they had a very unequal access to the space, of course as the era of Jim Crow which started in 1890 in Mississippi. BROOKE GLADSTONE: Describe how that plays out in the real world. LOUIS HYMAN: The trick with Jim Crow was that it was everywhere all the time. When African-Americans were going to a train station, a country store, anywhere really, they would have to wait until all white patrons were served. The country store wasn't like stores a where you serve yourself. Everything has to be done by a clerk at the counter who decides whether or not you actually deserve what you're asking for because it's all on credit. So this shopkeeper decides if you're the kind of person who should have that quality of shirt. And African-Americans didn't really have much choice. Every interaction was a rehearsal of hierarchy and deference, a rehearsal of Jim Crow. BROOKE GLADSTONE: I was reading a piece in The Washington Post, where they talked about white supremacy playing out in the way that you say. In fact, it would be disturbing that a black person could have something in their home that's as nice as what you have in yours say. LOUIS HYMAN: Yeah, that really is what African-Americans saw as so liberating in access to the catalog. BROOKE GLADSTONE: Right. Because prior to the catalog there was only the country store right? LOUIS HYMAN: It was a monopoly. And suddenly you could order things out of the catalog on credit just like at your store and they were cheaper. And most importantly they were just as good as anything else that a white person would get out of that catalog. BROOKE GLADSTONE: By 1908, one-fifth of Americans received that catalog. The podcast 99 Percent Invisible cited a figure that suggests at its peak the catalog offered 100,000 items and 1,400 pages. LOUIS HYMAN: Just imagine if you had never left that plot of land in your entire life and you opened up this big fat tome and you could see what people in Chicago, that far away town were wearing and eating, buying for themselves and just imagine yourself in a different world. And this is a time when for African-Americans, in imagin Chicago was a politically dangerous act. That The Chicago Defender, the, one of the most important African-American newspapers in America was contraband in the South, had to be smuggled from person to person from church to church. And a lot of ways the catalog was like that as well. It was some sort of a radical imagination outside of the life you were told you belonged in and you would always have. You know, it's it's a very conservative impulse to get the right to spend my money in capitalism right. How do you argue with that? BROOKE GLADSTONE: Conservative with a small c.
LOUIS HYMAN: Yeah, but at the same time a very radical act when you're challenging a white supremacist order. BROOKE GLADSTONE: You observe that the catalog was geared towards illiterate people whether they were Swedish or African-Americans. LOUIS HYMAN: They were trying to sell to as many people as possible. At a distance, in rural America trying to break the mold of all older models and they did it. BROOKE GLADSTONE: The Washington Post pointed to an article in the libertarian Reason magazine. You know. what I'm talking about how Sears has been credited with the creation of the Delta Blues. BROOKE GLADSTONE: Steel strings guitars. LOUIS HYMAN: --steel string guitars are cheap, you know, affordable high quality made this possible and, you know, it seems entirely possible that access to, you know, guitars are expensive so, you know, what a rich history to think about this sort of cultural creation that comes out of this catalog. BROOKE GLADSTONE: You described how the general store, which often also functioned as the Post Office, would sometimes refuse to sell money orders to black families. LOUIS HYMAN: White store owners were very serious about maintaining control. So what Sears did was put out orders that you could just talk to a postman. You could skip the post office entirely. There were all kinds of ways to subvert that system. If the postman was willing to get access to this national market. BROOKE GLADSTONE: You know, what really shocked me was how acknowledged the subversive power of the Sears catalog was, that there were bonfires of Sears catalogs in places. LOUIS HYMAN: Absolutely. They set all kinds of rewards systems if you turned a catalog in and had it destroyed, trying to defend Jim Crow in the name of small business. BROOKE GLADSTONE: --were black. It reminded me of anti-Semites claiming that Franklin Delano Roosevelt was Jewish. Sears himself published pictures of himself to prove that he was white. I assume that this was purely a business gesture. Right? LOUIS HYMAN: Yeah, but I think that shows you how radical the catalog was and especially is the way a contest of the racial order. BROOKE GLADSTONE: Which is really interesting also because it was back in 1895 that Roebuck sold his share of the business and Julius Rosenwald became part owner of the company. LOUIS HYMAN: Julius Rosenwald was an interesting character because he was a small time suit manufacturer. And one day Richard Sears walks in and orders 500 suits and he's like, 'what are you talking about, you're never going to sell that many.' And he says, 'I already sold them.' And so that's how they got into business together. And Julius Rosenwald really helped him expand the business. BROOKE GLADSTONE: He was a huge philanthropist to the black community, donating more than $4 million, roughly the same as 75 million today, to open and nearly 5,000 schools in the rural South where many African-American kids couldn't go to school. LOUIS HYMAN: Separate but equal was never equal. Separate but equal was always better schools for white kids. And these were schools that were good for black kids. BROOKE GLADSTONE: So what new things did you learn from the big reaction to your tweet? LOUIS HYMAN: A lot of people share their stories of shopping while black, especially young people being watched in stores. But also people who are trans talking about having access to clothes that maybe didn't fit their perceived gender identity. In a lot of ways, Amazon today is very much like the Sears-Roebuck catalogue of yesteryear. Also in the way it employs cheap labor. The Sears-Roebuck catalogue, the goods in it were made possible by the sweatshops of Chicago. Immigrants being exploited, so it's not an unambiguous story of positivity but it is a story of access. And I think that's something to consider as we think about what digital capitalism means in the 21st century. BROOKE GLADSTONE: What does it tell us? LOUIS HYMAN: I think it tells us that there is real value in having access to markets. Particularly for people who are confined spatially or economically. Certainly in the long history of America, African-Americans have always been spatially segregated and their retail lives reflect that. So, you know, the classic study from the 60s, the poor pay more. That African-Americans didn't have access to the same kinds of goods that white suburbanites had. People simply used the catalog to fight against white supremacy. BROOKE GLADSTONE: And did you find that at all ironic as a historian of capitalism? You've probably spent a lot of time staring down some of its fundamental flaws and injustices and you've observed that democracy has long been constrained by racism. Is this a case of capitalism to the rescue? LOUIS HYMAN: It's certainly a case of market competition to the rescue. What's surprising to me as a historian is that Jim Crow faced down consumer capitalism and Jim Crow lost. And in the first Civil Rights Act it wasn't about voting, it was about consumer access. It was about shopping. Equal access to stores equal access to trains equal access to restaurants and hotels and movie theaters. I think for many of my students when I teach this class, it's easy to not really care that much about voting. You vote every couple of years. But every single day use a bathroom, every single day you go somewhere. And to think about, 'oh that is what Jim Crow meant.' It's an everyday kind of thing. BROOKE GLADSTONE: It doesn't really bother you that Sears is falling apart, right? I mean, it's survival of the fittest. Amazon did to Sears what Sears did to the general store. LOUIS HYMAN: I worry for the workers, hundreds of thousands of workers at Sears. They're going to lose their jobs. But I do think that it's part of a broader reconfiguration of retail and in the next few years we're going to see that happen. The book I just released was largely about this reshaping of the American landscape and the insecurity of work. And I think that's the story that's here even as we want to focus on the consumer experience. We should also be focusing on the employee experience. BROOKE GLADSTONE: I mean, it may be that we all end up shopping at one company for, you know, the next couple of generations. LOUIS HYMAN: For a generation. I mean, that's sort of interesting. I mean, there also has a long history of how the chain stores took over first the catalog than the chain store than the mall. There's been a succession of different kinds of retail and American history. So I think we shouldn't lament the death of one kind of retail. We should figure out how we can make this new kind of retail, this new kind of economy work for everybody. BROOKE GLADSTONE: I'm not so much worried about a new kind of retail as I am about one company dominating all retail online. And I say this as someone who has a prime account. LOUIS HYMAN: Monopsony is where there's only one buyer as opposed to only one seller. So in America Wal-Mart is a monopsonist. They are the only buyer for a large swath of Chinese factories so they can drive down prices. We actually live in a monopsony economy right now, so Amazon, Walmart. And we're not talking as much about that as we can because it's such a strange word. BROOKE GLADSTONE: I love it. Thank you so much Louis. LOUIS HYMAN: It's my pleasure. BROOKE GLADSTONE: Louis Hyman is the author of Temp: How American Work, America Business and the American Dream Became Temporary. 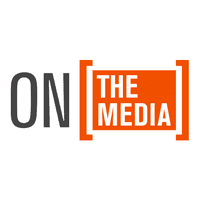 BOB GARFIELD: That's it for this week's show On the Media is produced by Alana Casanova-Burgess. Micah Loewinger, Leah Feder, John Hanrahan and Asthaa Chaturvedi. We had more help from Samantha Maldonado. And our show was edited by Brooke. Our technical director is Jennifer Munson are engineers this week were Sam Bair and Josh Han. BOB GARFIELD: And Bob Garfield.